A Watershed Resources Registry (WRR) is a powerful tool that integrates multiple Sections of the Clean Water Act. It can transform mitigation targeting away from a piecemeal approach, towards site selection based on the highest priority resource areas, those that offer the greatest benefit if preserved or restored. Each state decides what qualities or factors are most desirable for each of the spatial analyses. For example, most states would wish to encourage riparian restoration near impaired streams. 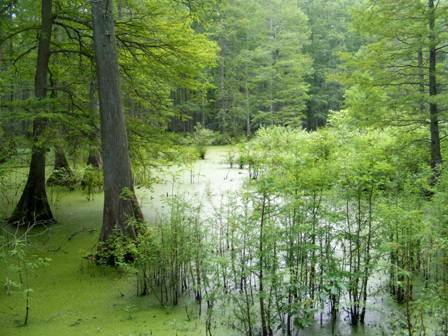 Some states would allow wetland restoration in forested areas while other states would not. In this way, a WRR reflects each state's priorities and values. A WRR also promotes collaboration between regulatory agencies at the state and federal level, as well as between regulatory and non-regulatory agencies, and between the permit issuing body and the regulated agency or public. The objective of the WRR is to map natural resource areas that are a priority for preservation or restoration. A major effort of the WRR process is a set of desirability analyses developed with sound science and the best professional judgment of regional experts, which will be used as a screening tool to target opportunity sites for the protection of high quality resources, restoration of impaired resources, and improvement of water resources. By having both regulatory and non-regulatory agencies base decisions from a WRR, integration and the use of the watershed approach will become implicit and the effects of "stovepipe" processes will be minimized. The results will streamline the regulatory and non-regulatory processes and ensure maximum environmental results. For more information or to contact a WRR representative please visit the Contact Us section.